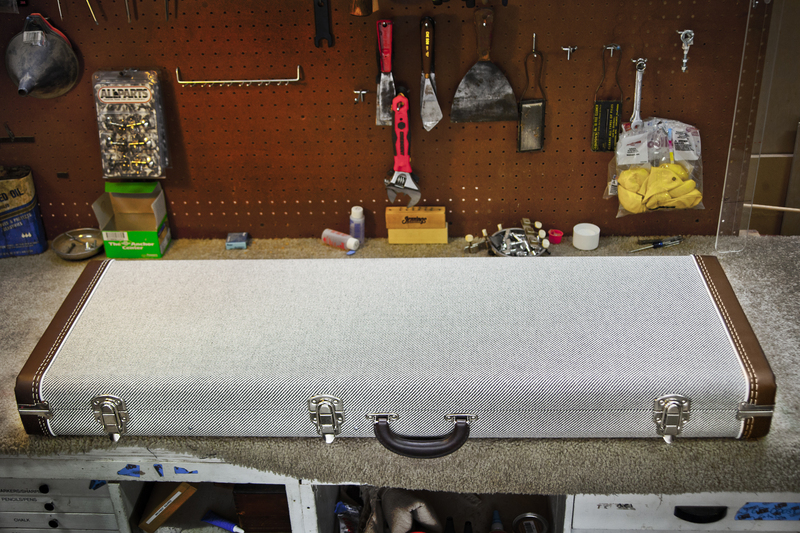 We sat down with G&G Quality Cases to design our very own guitar case! 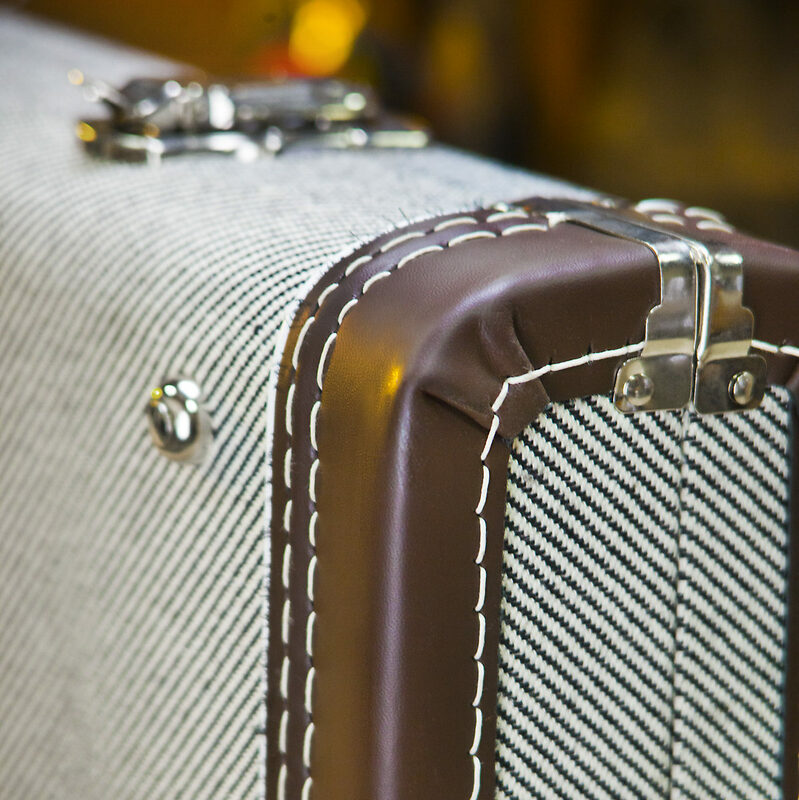 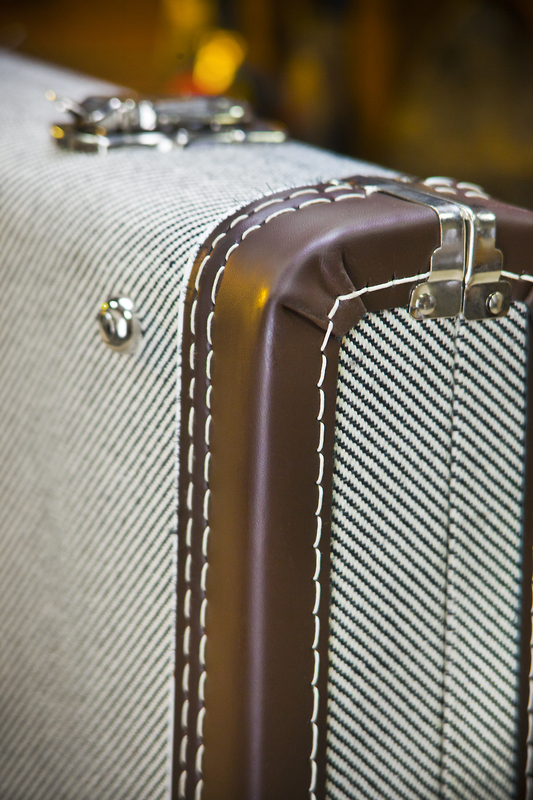 The outside design is made of a black and white (or “gray”) tweed, brown synthetic leather binding with matching handle, white stitching and decorative piping, and has nickel hardware. 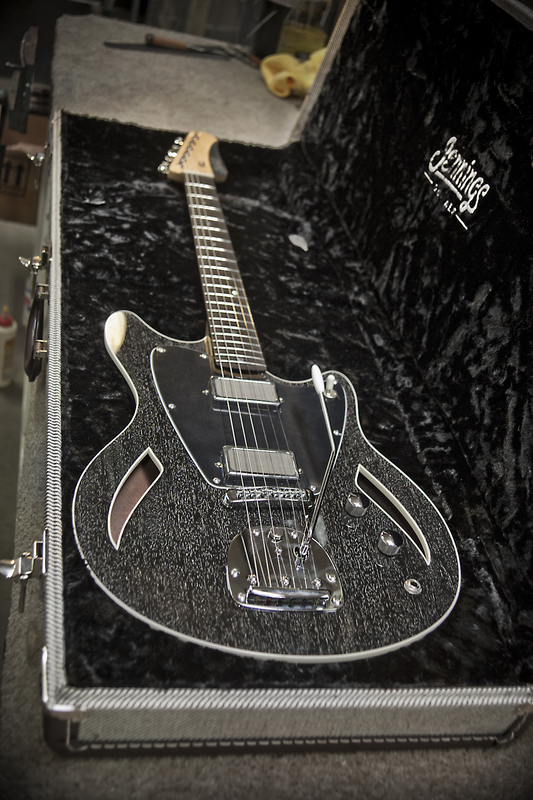 It features a custom decorative “Jennings Guitar” emblem plate riveted to the outside. 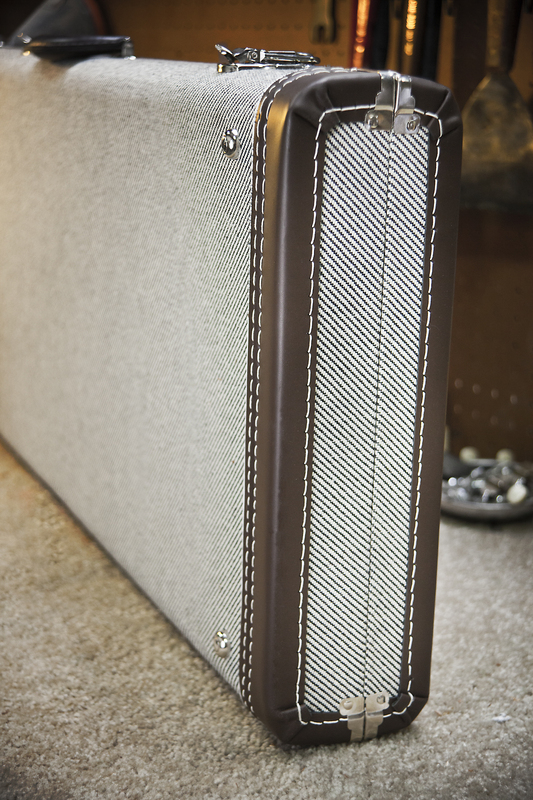 The inside is lined with black poodle upholstery and features our logo embroidered in white on the lid, visible when open. 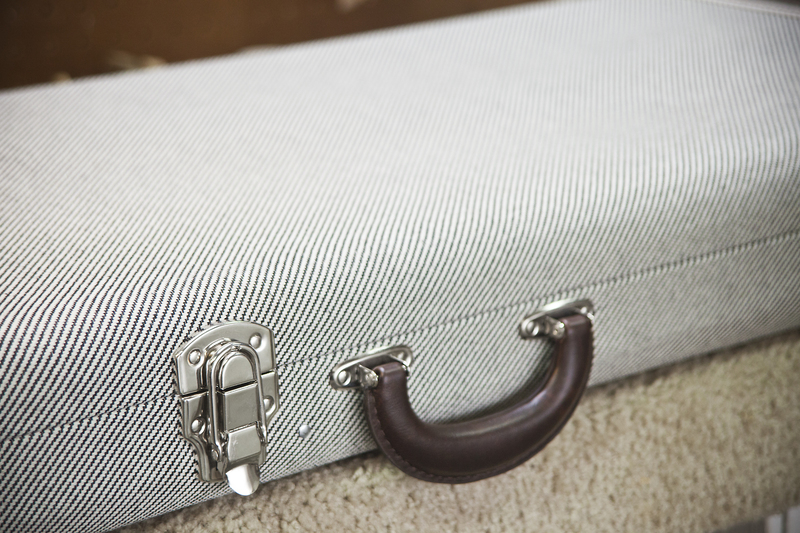 There is also a storage compartment with lid. 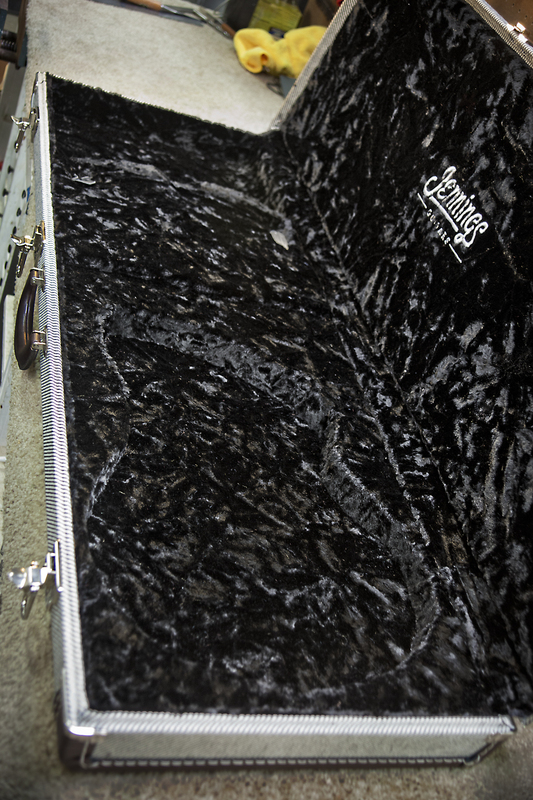 The cases are custom molded to the guitars to ensure a tight fit to keep your guitar safe while on the go! 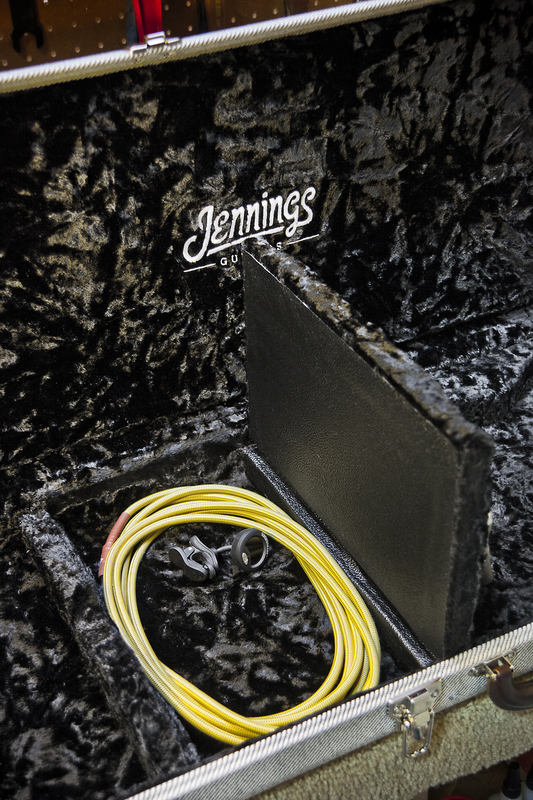 Attention: These cases fit Jennings Guitars models only!